I was pleased the other day to hear my 8-year-old son come home from school and said that they had been using dictionaries in class – like with cursive handwriting, I wondered if the dictionary would be something of the past. Why look something up in a big ‘ol book when you could just look it up online? I’m pleased to say he’s learning both. 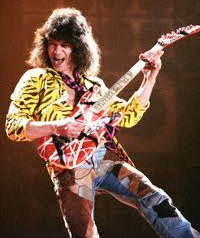 Did your air guitar look like Eddie Van Halen’s red and white striped axe? With the resurgence of the word yuppie in the early 80s you know the word “foodie” couldn’t be far behind. A foodie is someone who views food as a hobby, and an experience rather than just fuel for the body. I would guess that 80s foodies would be into fancy stroganoffs, fancy casseroles and washed down with fancy sparkling Perrier. 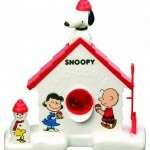 And maybe Jell-O Pudding Pops for dessert? Maybe not. Like, omigod, gag me with a spoon and take a chill pill. I would freak out whenever this really cute boy Dave walked by me in the cafeteria with a giant plate full of rolls. My friends would tell me to take a “chill pill”, tone it down, pull it together; basically…don’t act like an idiot. Chill pill, taken. Well, most of the time. Ok, I have to admit that this one surprised me. In high school I failed my Computer Science class, and the two geeks didn’t create a woman on a computer in Weird Science until 1985…so…this one might be a mistake, Oxford English Dictionary. Check your facts. 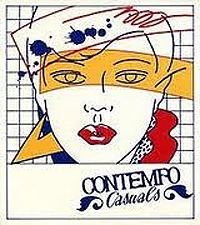 Were you a shopaholic at stores like Contempo Casuals? Think of all the guys with sweet mullets at the Def Leppard concert playing air guitar! And the girls at the Mötley Crüe concert workin’ their whammy bars! My air guitar looked like Eddie Van Halen’s red guitar with white stripes. Classic. How could teenage girls of the 80s not have been shopaholics? Look at the totally awesome stores our malls had – Lerner, Rave, benetton, Esprit, CONTEMPO CASUALS for the love of God. And boys, you had Chess King and Oak Tree. Many a paycheck from working long hard hours at the video store was spent stimulating the economy…’80s teenage style. 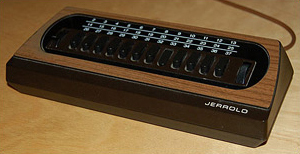 Did you use your “clicker” to channel surf back and forth between your favorite 80s shows? In the 80s you used your very high-tech remote control (or “clicker” as most everyone called it) to change the channel, or channel surf. 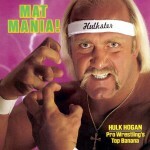 Hang ten everybody! I can’t decide what to watch so I’ll just go between a little Alf, Designing Women, Perfect Strangers and LA Law. We didn’t have time to watch just one show, just like everything else in the glory days excess was best – we were up for a little bit of everything. Those foodie yuppies back in 1980 invested well in the market and became bazillionaires. I hate them! Did you go crowd surfing at concerts? A few years after you channel surfed you could crowd surf. I saw an REM in concert in ’89, they were promoting their Green album (album…sigh.) I saw people near the stage float across outstretched arms and hands, being passed along like they were doing back floats in the ocean. 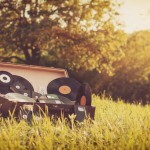 It’s a pretty memory. There you have it – ten years of ten like, totally awesome words. They give a great overview of some of the major cultural and societal trends at play in the decade of excess. I’m gobsmacked that I pretty much use all of these words quite a lot today. And so do a lot of other people, based on the fact that I’m still told quite a bit to take a chill pill.